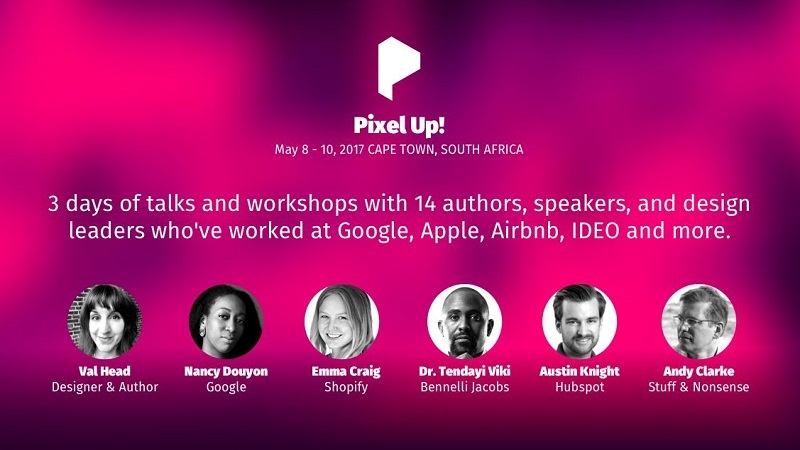 If you’re one of the creative professionals who, as the marketing blurb of the event says “makes art with pixels”, then you need to be at the Pixel Up! user experience (UX) and Design Conference. The three-day event, which consists of 14 talks, four workshops, a party, and more, is taking place this May in Cape Town. If this all sounds like a good time to you, check out the details for the event below as well as links to buy tickets. Just keep in mind that only 150 tickets are available, and they’re liable to sell out before sales close on May 7th. While the ticket prices are on the high side, the Pixel Up! website has, handily enough, a “convince your boss” section that will give you some ammo to go on the company dime. Use it wisely.